One of the best things about being able to knit your own clothes is pairing your handmade items with things you already own! Here at WEBS, people often tell us that they would love to learn to knit but they don’t live close enough to take a class, or they have a friend who wants to learn, but they don’t know where to start. We can help you with that! We’ve created a Learn To Knit Kit complete with helpful easy to follow directions and a YouTube playlist so you can see each technique in action. 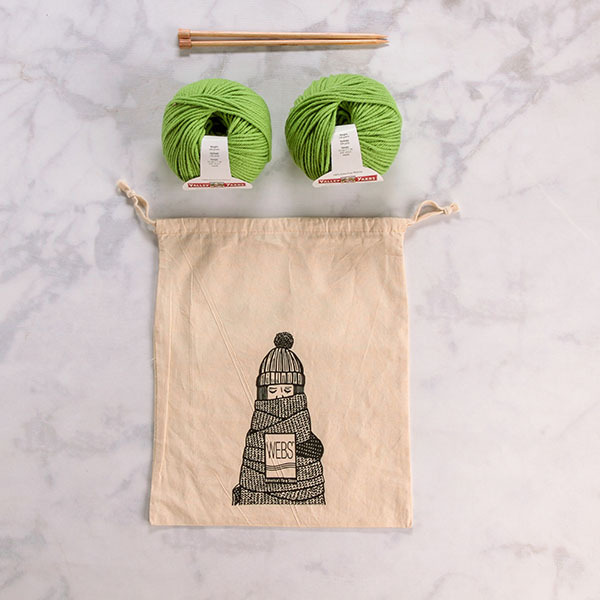 Each kit include everything you’ll need to create your first scarf from start to finish! When you’ve finished your first knitted garment, you might wonder what you’re going to wear it with? Take a quick look at our Learn to Knit scarf in Lime, made using Valley Yarns Superwash Bulky, a super-soft washable merino wool with an irresistible color selection. For a casual autumn look, try wearing your scarf wrapped twice, with leggings and a flannel shirt! 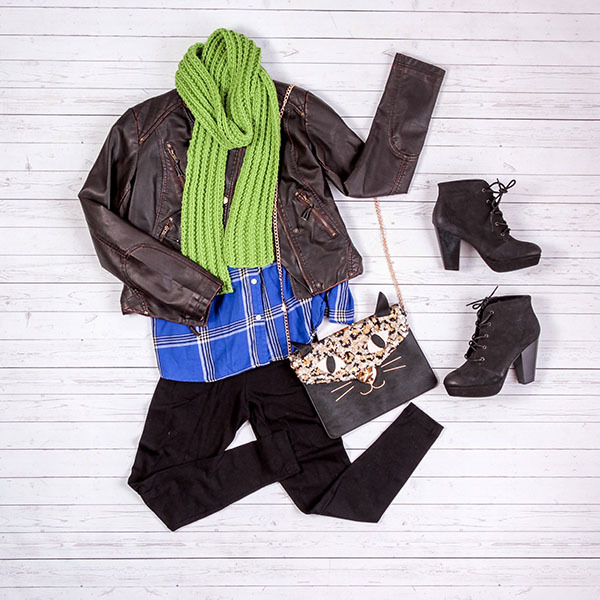 The faux leather jacket and chunky faux suede booties add a slight edge, while the textured scarf in a bright green brings warmth back into the outfit. One of my favorite ways to wear a scarf is folded in half, with the ends pulled through the loop. 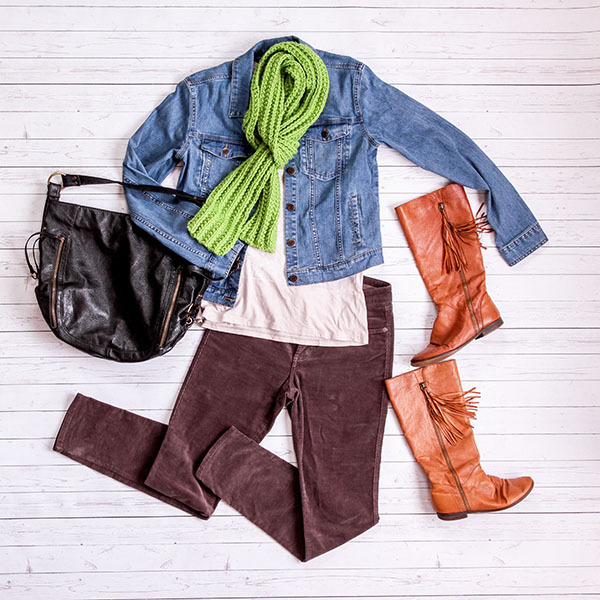 Pairing your new scarf with a jean jacket and cords makes for an easy to wear outfit for running weekend errands! Last minute brunch date? Not to worry! 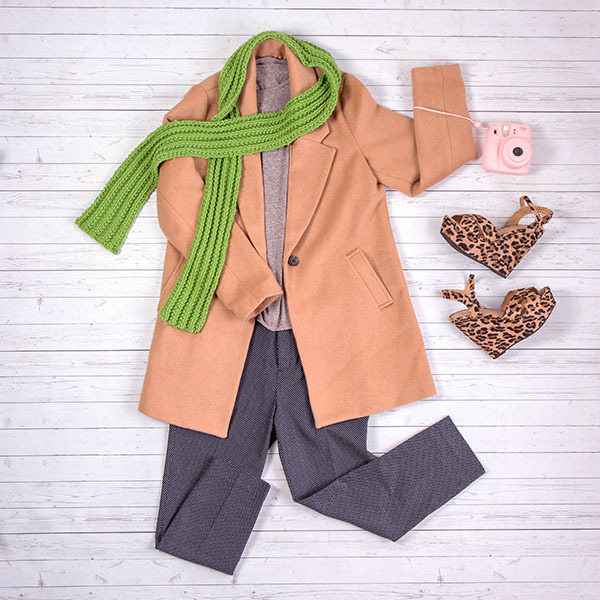 Your scarf is the perfect pop of color against a camel-colored coat, printed and cropped navy pants, and finished off with leopard print wedge sandals. Lookin’ cute! one handy tapestry needle – you’ll need it to weave in those pesky little ends! one booklet with easy-to-understand pictorials that detail how to knit your first pattern, as well as four extra stitch patterns for when you’re ready to move on! YouTube videos so you can see each knitting technique in action! 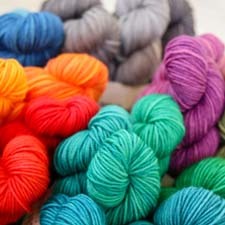 Order our kit today and you’ll know how to knit before summer is over! You’ll want to hurry, though, because those adorable bags are only available with the first 25 kits. And, if green isn’t your thing, and you’re psyched to knit your new scarf in a neutral, we have two more color options available to fit your personal style! To order yours, click here! Have you always wanted to learn how to knit, but were intimidated by classes or didn’t think you had the time? Did you learn to knit oh-so-long ago and want a refresher? We have the perfect option for you! 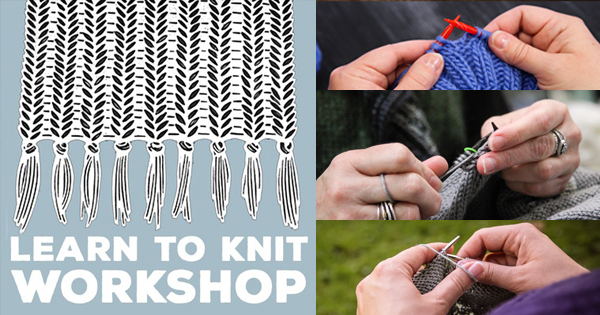 Learn To Knit is a 2-session workshop that walks you through the knit stitch and the purl stitch; depending on your learning curve, you might get some instruction in casting on and binding off, or learning knit/purl combinations. Patient, understanding instructors will give you just what you need (including needles and yarn!) to accomplish this craft-building skill. You’ll be off and stitching in no time! Our first session starts tonight, but you can sign up for April:Wednesdays, 4/13, 4/27 6-8pm, or May: Tuesdays, 5/5, 5/19 6-8pm, now.